Pictures of flowers, trees, cactuses and other interesting vegetation. 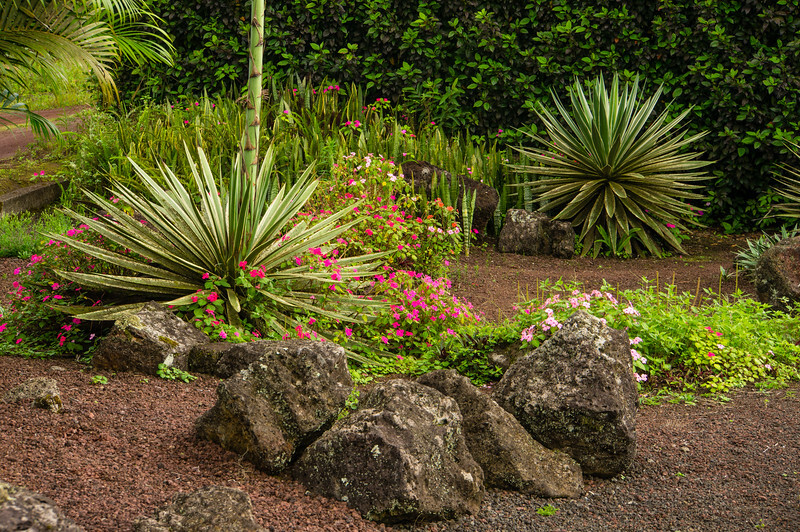 This picture was taken from the grounds of the Royal Palm Hotel on Santa Cruz Island in the Galapagos. I have not attempted identification of the various species of flora.